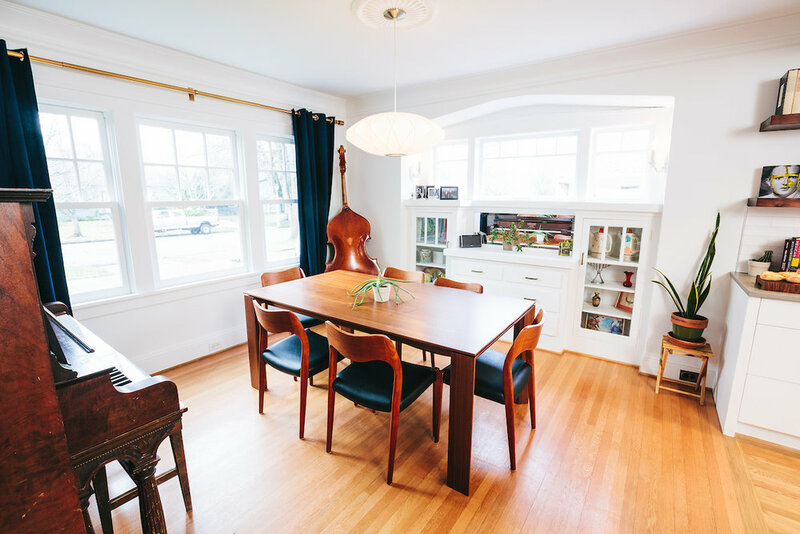 When the homeowners first contacted us about their 1926 home, they stated "We want to make better use of the space and open it up a little. This seems right up your alley." That's right...we live on that alley, we love that alley! 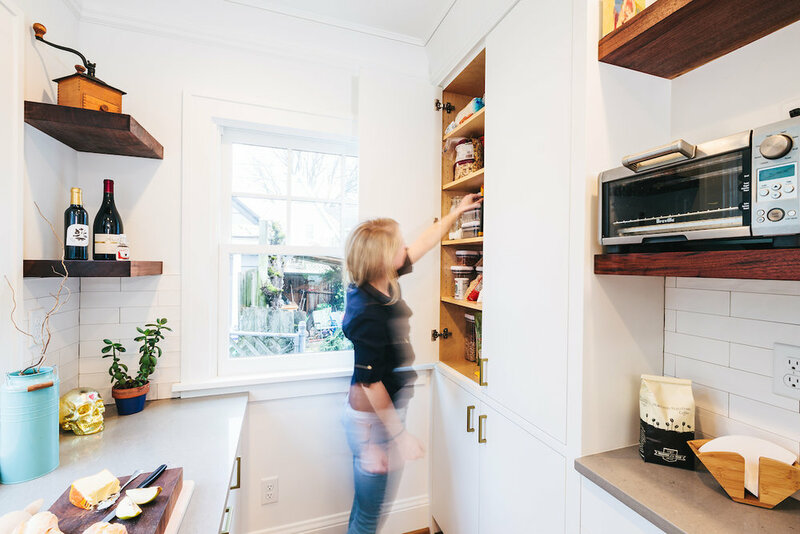 Terah Beth designed a few schemes ranging from leaving all walls in place to removing all walls that separated the dining, living, and the back nook from the kitchen. The clients decided to go big and knock 'em all down... they went big and stayed home! Beating the system, man. ha. 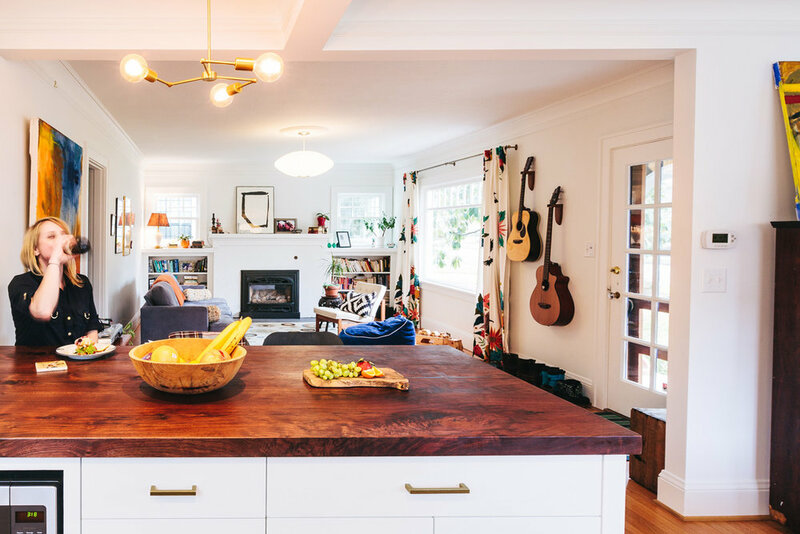 This 'open concept' scheme created an airy and zen-like space filled with beautiful custom cabinetry, crown moulding original to the house, with walnut accents including a huge peninsula countertop, floating shelves and a range hood accent band. The walnut was sourced and crafted from a local fallen tree. So Crafty!